Although the area that would become Kingsville, TX has been inhabited since at least the beginning of the 19th century, it wasn’t officially incorporated as a city until the turn of the 20th century. Initially envisioned as a depot town for a new railway line that would connect Corpus Christi with points inland, the city quickly grew into an important trade center for the surrounding agricultural and grazing lands. With the establishment of the nearby Naval Air Station Kingsville, the area became an important U.S. military hub during the second half of the 20th century. Today, it enjoys a diverse economy and ample access to the beautiful Texas Gulf Coast. Kingsville is located in South Texas. It’s less than 30 minutes by car from the open waters of the Gulf of Mexico and about 45 minutes from the outskirts of the larger city of Corpus Christi. The city itself is characterized by a regular street grid and medium-density residential subdivisions. The air base lies just to the east of Kingsville’s eastern boundary. Much of the land that surrounds these two regional focal points features flat agricultural fields and pastures. Pockets of oaks, palmettos and other trees break up these open areas. According to the most recent U.S. Census data, Kingsville has a population of between 25,000 and 30,000. Although this figure varies slightly from year to year, it has been in a modest upward trend since the turn of the 21st century. As the county seat of Kleberg County and the home of a small but important naval air installation, the city has a diverse, fairly affluent population that includes many active-duty service members and businesspeople. Families with school-age children make up a significant portion of the population as well. There’s plenty to do and see in Kingsville. Just outside the city limits, King Ranch offers a vast stretch of well-preserved land and boasts educational opportunities for kids, students and parents alike. Meanwhile, the ranch’s museum sits near the center of town and offers interpretive exhibits for all ages. Just a short walk away, the 1904 Train Depot Museum boasts a collection of artifacts from the city’s earliest years. For military buffs, the public areas of the nearby air base are occasionally open for tours and exhibitions. For nature buffs, several points near town feature world-class bird watching opportunities. Like the rest of coastal South Texas, Kingsville has a subtropical climate that’s marked by consistently humid weather and warm temperatures throughout most of the year. During the spring, summer and fall months, hot air masses facilitate the development of strong thunderstorms that routinely break the worst of the heat. Tropical storm activity tends to increase during the late summer and early fall months. Winter brings cooler and drier weather, but frost rarely poses a serious threat to local agriculture. 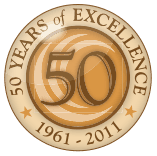 For more than 50 years, Bodine-Scott Air Conditioning has provided the residents and business owners of Kingsville and the surrounding towns with timely, effective air conditioning service at the region’s best price points. Our experienced technicians have up-to-date NATE certifications as well as current licenses with the state of Texas. As such, we’re capable of performing virtually any repair and replacement job, including condenser repair, coil replacement, duct cleanings and refrigeration troubleshooting. What’s more, we can easily install custom systems as well as out-of-the-box equipment in buildings of all sizes. For customers who want to save money and reduce energy usage, we’re also happy to perform energy-efficiency audits and indoor air quality checks as part of our annual maintenance agreements. Bodine-Scott is the Kingsville area’s premier dealer of Carrier systems and equipment. As a factory-authorized dealer for the award-winning manufacturer, Bodine-Scott offers access to a wide range of air conditioning systems as well as gas furnaces, indoor air quality equipment, water heaters, heat pumps and other top-tier devices. We also offer access to accessories and value-added items like insulation, programmable thermostats and air filters. Thanks to Bodine-Scott, Kingsville can breathe easier in any season.